GARY H LEHMAN PAINTING Co.
"Fast Response, Superior Quality, Best Prices, Great Products"
"Built on HONESTY and INTEGRITY"
"I Had Gary and Trena paint our 75 year old home last week. It is a two story which has aluminum siding. He power washed the home, ridding it of all the loose chalk that is typical in an older aluminum sided house. He then put a bonding primer, followed by a satin white finish. All the shutters as well as the front doors were primed and double painted with a dark black semi-gloss. The house which had not been painted in more than 25 years looks like new, and cost us considerably less than replacing the siding. The job was excellent and done in a timely manner. I would recommend G.H. Lehman painting most highly." "I have had Gary and Trena Lehman paint my house twice and I find them to be very conscientious workers. They are extremely particular with prep work, using reliable materials, and are very meticulous in their clean up. They have always been professionals." " Awesome...... We had Gary and Trena paint several rooms in our home. They are very nice people to talk to. They are quick but extremely good at what they do. They even asked for trim paint and touched up rough edges from previous painting work done by another contractor. They did not charge us anything for the extra work. Unheard of in this day." "Do you need a room painted? You can't find anyone better than Gary & Trena Lehman. They painted my sunroom that has a 9 1/2 foot ceiling. It required taping and spackling, and two coats of ceiling and wall paint. They did a beautiful job at a fair price. They are nice to talk to and pleasant to have in your home. I have had many compliments on their paint job and how nice my sunroom looks." "Just had the interior of my house painted by Gary and Trena. I am very pleased with the results. They were fast, efficient, trustworthy, and also very nice people to have around." " I am totally impressed by the speed and extreme attention to detail from rolling to cut in of the painting job. We had almost two complete floors of rooms, and they finished within two weeks. Gary and Trena are a pleasure to have. They made our experience wonderful. Highly recommended." "These painters are SHARP! They made painting walls and trim look very easy. It would have taken us at least a month to accomplish what they did in two weeks. Great job. Would hire again for sure." "Need two excellent painters. Call Gary and Trena next time you want a great job. I was impressed with how meticulous they both were with their painting skills. They cleaned up after finishing unlike some contractors now days. Wow!" "Gary and Trena are skilled, professional painters. I had them paint the interior trim and walls of my home. They were reliable in keeping to the date and schedule they gave me for the painting. They were quick, meticulous, paid attention to detail, and cleaned up after finishing the job. They were very pleasant and trustworthy. I am pleased with the results of their work and I have hired them again for another job in my home." "G.H. Lehman did a fantastic job of painting the entire exterior of our home. Besides beating all other bids by a significant margin, their service, professionalism, and overall quality, exceeded our expectations. Throughout the job, and upon completion, neighbors even complimented the quality of the work. We couldn't be happier with our choice. We will call G.H. 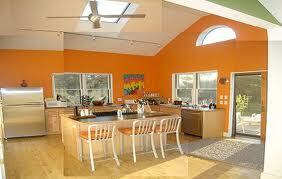 Lehman Painting Co for any future interior and exterior painting needs. Thanks again Gary and Trena." "I would like to thank you again for a job well done on our front porch deck. It looks great. "We highly recommend Gary and Trena for ALL your painting needs. They painted the existing exterior trim and new addition to our 1840 farmhouse. They understood our vision and were able to seamlessly blend the old with the new. Aside from being pleasant to work with and doing an all around great job, there are several things we especially appreciate about Gary. He took the time to brainstorm with me about the final colors and finishes. He prepped all of the areas to insure the paint remains looking great for years to come. And last but certainly not least, they were able to paint all of our existing soffit, fascia and downspouts! Before finding G.H.Lehman Painting Co., we thought our only solution to change the trim color on our house was to purchase all new soffit, etc,........... What a blessing that Gary and Trena could do it all !" "Thanks so much for the great paint job you did on our place! Our place never looked so good and this paint is so much better than the original when the house was built. You made it look brand new! I will recommend you whenever possible. You're fast, neat, and very nice people too! Thanks again... "
"Gary and Trena restored my outdoor deck and painted (stained) my basement floor. Both projects were completed on time as promised, and in a very professional manner. I recommend their services highly. " "Mr. and Mrs. Lehman were friendly and polite, a pleasure to have in my home, they were very clear about the project, what was happening and what I should expect. They work well as a team to manage their tasks. Gary and Trena listened to all questions and concerns I had and were able to offer alternative suggestions when necessary. They were tidy and respectful of my home and my personal schedule. I plan to hire them for a future project and would recommend them to anyone else.﻿"
"Gary and Trena painted our foyer, stairwell, kitchen, and family room walls and ceilings for us. Before finding the Lehman's, we were getting quotes from other painters and they were just absolutely ridiculous. Gary came to give the estimate and his prices were very fair. To be honest, we originally hired them just to do the stairwell walls and ceilings and we wanted to see how they did with that before we hired them to do a bigger project. They did such a great job and impressed us so much that on the first day that they were working on the stairwell, we asked for estimates for the rest of the projects. A big pet peeve of mine is sloppy trimming (between the baseboards and the walls and the walls and the ceiling) and Gary and Trena did a beautiful job with that. They were so thorough and they work so hard. There were times where we had to leave the house and we felt completely comfortable leaving them to do their work while we were out. You won't be disappointed if you go with G.H.Lehman Painting." "Gary and Trena are the ultimate professionals. Besides exceeding our expectations at the original plan they also were accommodating with our scope creep. We have animals and they were willing to work with those challenges. I would recommend any of their services, it is there attitude to do the best that sets them apart. Their prices are fair and service is exceptional, what more can you ask for.﻿"
"G.H. Lehman Painting did an incredible job on our entire home. We were apprehensive about who to have paint our 2-story home and chose G.H.Lehman Painting from 3 estimates. They were able to answer all of our questions, completed the job when they said they would, had reasonable rates, did a professional job, and are very nice and friendly people to work with. Neighbors had another company do less work for them and paid more and they were not as near satisfied as we were. I would recommend G.H.Lehman Painting to anyone looking for help with any size paint job. Thank you G.H.Lehman Painting! " "Gary and Trina are the first painters to do the job the way it should be done when they painted our house. 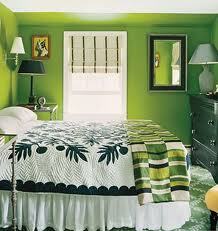 Unlike previous painters, their work is excellent and they don't cut corners. They pay attention to detail, don't rush the work, and we didn't have any clean-up to do after they finished. Our house now has a completely different feel to it because of their professional approach to the job. We plan on having them return in the Spring to seal and stain our deck.﻿"
"Our historic home has wonderful character, but it desperately needed paint! In fact it needed more than paint, it needed the assistance of someone with a great eye for color and style to pull together 200 years of additions and varied materials. Like so many old farmhouses in southern Pennsylvania, our home started as a small log structure. Around 1830 a stone wing was built, with a second stone wing to follow in the 1860's. Then there was a 1960's garage and lastly, a Colonial-style log and frame addition was built. With stone, vinyl, wood siding, log, and several different colors of paint, it looked like an unrelated collection of little buildings all stuck together. Gary was the first painter I called for an estimate. He came out to the house the same day! We were very happy with Gary's price and detailed proposal. He helped me finalize paint colors. After years of playing with paint samples I had chosen the big colors but couldn't make up my mind about trim. Gary's experienced eye and willingness to collaborate were exactly what I needed. These painters are perfectionists. In addition to power-washing, priming and applying two coats of paint, they scraped and repaired old shutters and windowsills and Trina even washed the windows! There were areas on the new wood siding where sap was still “bleeding” through even after Gary was done priming and painting, so he applied a shellac sealer and painted again. Meticulous work. Our house was painted during the hottest part of the worst Summer we'd seen in ages, but Trina and Gary were unflaggingly cheerful and powered through the heat and humidity. They are great to work with and fun to talk to. Really nice people. We are delighted with their work and would definitely hire them again. Our house now looks gorgeous. The colors are perfect. What before was a patchwork of colors and materials is now one unified, beautiful historic home.﻿"
"Hey Gary! As promised, here is your recommendation. I plan on posting this on yelp as well. Thanks so much! House is put back together and everything looks great! We had a fairly large indoor painting project with some high ceilings in our foyer. When we first contacted Gary H. Lehman Painting Co, Gary was quick to come check out our project and provided us with a reasonable quote a day or so later. Our project was quickly worked into their schedule. Initially, we were having troubles trying to determine our paint colors but Gary was very helpful in pointing us in the right direction. Gary and Trena did an amazing job from start to finish! Their work was clean and professional. I would highly recommend them to anyone needing a quality paint company that you can trust to be in your home." It is with great pleasure I take this time to commend you both for the super paint job you did on the interior of our house. I am extremely pleased with the final product and you deserve a lot of credit. You and your wife are very knowledgeable about interior painting and I will without hesitation recommend your painting services to people I know. I wish you the best in all your future endeavors. Gary and Trena Lehman take great pride in serving our customers with a helpful and friendly attitude, superior workmanship and a competitive price. We are a team of painters ..known and trusted by many over the years. You will not get people coming into your home that are unknowns. We keep it that way because we would feel the same way about people coming into our home. We have a reputation of "throwing in extras" on every job we do. Good Will. Our Pleasure!! "I'm very happy with the results..Rachel and the family are delighted..we wanted to send a little extra partly to reflect the extra work you did, mostly to express our thanks to you and your wife for the way you made this a pleasant experience for us all. Thanks,"
Copyright 2010 Gary H. Lehman Painting Co.. All rights reserved.